Liverpool’s Twitter account needed an LFC angle on last night’s Belgium vs Japan game, because, you know, the stunning 3-2 comeback just wouldn’t be enough for a Liverpool fan to enjoy otherwise. In this bizarre era of social media, clubs clearly hire their experts to make almost any event relevant to their followers, but this attempt from LFC went down like a lead balloon. 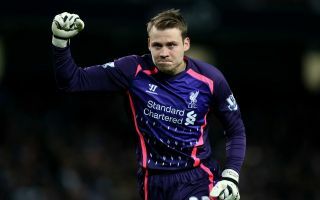 You may remember Simon Mignolet often attempts to be a goalkeeper for Liverpool, though he was relegated to the bench for most of last season due to the reasonably strong form of Loris Karius until his Champions League final nightmare. The bench is an even more familiar place for Mignolet when it comes to representing the Belgian national team, and he watched on again last night as his country sealed their stunning 3-2 win from 2-0 down to make it past Japan and into the World Cup quarter-finals. Simon played a huge part in that. Fair play to him.